Document illustrating practices observed on field in the famework of interviews realized during Winetwork project. 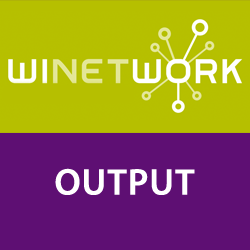 219 interviews were realized in 10 european winegrowing regions with the objective to detect innovative practices and to collect concrete experiences and practices implemented by end-users at vineyard level to limit or control grapevine trunk diseases. This list is not exhaustive and painted the situation on a selected sample of winegrowers. Keywords: Grapevine trunk diseases, Maladies du bois, Bolesti drva vinove loze, A szolo tokepusztulása, Doenças do lenho, Malattie del legno della vite, Enfermedades de la madera, Holzkrankheiten der Rebe.